Up-to-speed on the latest Public Relations strategies? Love maintaining and fostering relationships with clients, media and influencers? Great. Our team has an immediate need for someone like you. 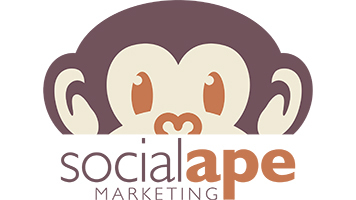 We’re Social Ape Marketing, a Charlotte-based marketing company specializing in marketing, public relations and branding. We have the unique need for a motivated and experienced individual to help our clients grow their businesses. This role is a full-time position. During your time with Social Ape, you’ll be developing and executing public relations and social media campaigns for several clients with the ultimate goal of increasing brand awareness and sales. • Research media contacts and potential partnerships within target markets for our clients. • Create new PR campaigns from conception to execution. This includes strategizing months at a time, writing creative media pitches and press releases, organizing blogger and media events, proactively following up with media and more. • Strategize and create social media content calendars. • Post and monitor all client social media content. • Create comprehensive reports to analyze results of PR and social media campaigns. • Make updates to client websites and send weekly email newsletters on behalf of our clients. • Coordinate VIP/media events (including securing of vendors, maintaining RSVP list and execution of event). • Leverage existing relationships with media and influencers as well as continue to create new relationships. • Have established connections with Charlotte media and/or regional media. • Be willing to push the envelope when creating media pitches and PR campaign. • Have the drive to proactively reach out to and follow up with media and influencers. • Communicate well and often to clients as well as advise them on PR strategy. • Listen to other team members and be empathetic to their needs. • Have an insatiable drive to grow and learn new concepts. • Have the ability to think outside the box and have a creative mindset. • Be able to quickly formulate creative customer solutions under pressure. • Meet deadlines on time and possess the ability to plan ahead, follow-through and stay organized. • Have a flexible schedule and be willing to work evenings or weekends as needed for client events. • At least 2 years of experience working in Public Relations or Communications. • Works well in a small group setting, as well as independently. • Proficiency with all major social media platforms (Facebook, Twitter, Instagram, Pinterest, LinkedIn, etc.). • Experience with writing press releases and other media materials. • Exceptional writing and editing skills. • Experience with Microsoft Office and Google products. • Experience using WordPress and Mailchimp. • Experience using Cision or Meltwater. We expect Social Ape team members to live by the following Core Values in order to continue to grow personally and as a team and also provide the highest quality of service to our clients. • Be Independent – no micromanaging here. We expect each team member to do their own work without being reminded to do so. • Clients are Partners – instead of viewing our clients as just that, we consider them partners and even sometimes as close friends. • Always Anticipate – Get ahead of issues before they happen to prevent larger problems down the road. • Learning Never Stops – Continuing education is vital, whether it is within Social Ape programs or learning on your own time. • Culture Always Wins – We work hard, but also like to have fun and make work enjoyable each day. • Work from home on Fridays during the summer. • Great office location in Dilworth. • Quarterly team building events (Who doesn’t love karaoke or escape rooms?!). • Occasional team lunches and dinners. • Team March Madness outing each year. • Potential to make extra income through a commission structure. • Fun office culture within a fast-paced environment.